Ok confession time here for those that do not know me I do not have straight hair. Nope it takes me 30-45 minutes to get straight hair so I usually pull my hair up in a ponytail most of time, because I hate the kinks and curls. I have to admit I have hated my curls for a long time well that is until I discovered a great line of products that are made especially for curly hair. nuNAAT's NAAT Treatment for Curly Hair products are designed for people with curly hair who wear their hair curly for an increase in bounce and shine. Active natural ingredients include Cupuacu Butter, to provide superior moisturizing abilities, plus the strengthening properties of Keratin Protein. I received the complete nuNAAT collection to try which included the shampoo, conditioner, hair mask, and leave-in. 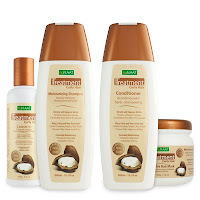 The shampoo and conditioner are both rich and creamy which is something I really like in hair products, because they seem to provide the best moisture. I also love the tropical smell of coconut that the products have. It makes my hair manageable and very soft. Instead of waking up looking like medusa I wake up looking like I have a mild case of bedhead. The nice thing about these products is you only have to use a little because it goes a long way. I have also noticed less breakage and hair in my brush since I started using nuNAAT Treatment for Curly Hair products. If you dread your curls like most women do that have them no need to dread them any longer! 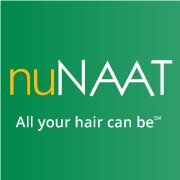 nuNAAT's Treatment for Curly Hair products is the perfect solution to tame the most unruly mane you call your hair. How would you like to try these great products? One lucky person will win the entire nuNAAT Treatment for Curly Hair product collection to help them manage those unruly curls. Believe me your curly hair will love you and the nuNAAT Treatment for Curly Hair products. For a chance to own this collection worth $25 just enter on the form below. For more information about these products or other collections from nuNAAT, visit their website or connect with them on Facebook and Twitter. I would like to try the Karité Special Deep Conditioning Hair Mask. I would also like to try the NAAT Treatment Repair Care with Açai Berry and Keratin. I'd like to try the NAAT Treatment Repair Care Anti-Aging Leave-In with Açai Berry & Keratin. I would love the NAAT Brazilian Keratin Daily Care Shampoo. I would like the Brazilian Keratin NAAT Cream. I would love to try the Chocolat Special Chocolate Cream Hair Mask.